Rich was raised in rural Nebraska. His grandparents were farmers and he worked summers on the farm. His parents valued education and instilled this value in Rich early in life, along with a healthy work ethic. He entered Northwestern University as a pre-med student, but quickly learned his interests were in history and political science. Law school was a natural transition to the working world. He started practice in downtown Chicago with a law firm that traced its origins to the Chicago fire. One of his memorable cases was working with Paul Harvey on the first libel case ever filed against him. He and his wife relocated to Colorado where he joined a 17th Street firm in downtown Denver. His wife then entered ordained ministry which took him and his family to the eastern plains of Colorado. The family later relocated to Longmont where his firm and practice are today. We learn from history as we plan for the future. I work to help my clients do both. Rich stays current in each of his primary practice areas: business law and litigation, real estate law and litigation, and religious/nonprofit law. He has extensive and diverse litigation experience and practices in Colorado federal and state trial and appellate courts and federal bankruptcy court. He regularly works with other firms across the western states in litigation matters and has built relationships with firms throughout the Denver area. 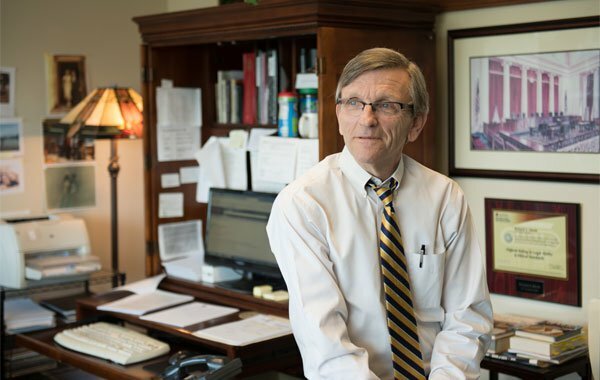 One of his favorite things about his work is diving into the facts of his clients’ cases. Business and real estate litigation is typically about a relationship not an event, and the historical facts are key to litigating the outcome of whatever the dispute is. Outside of the firm, he flexes his creative muscles by playing keys and drums. After an evening of blues, R&B, or even classic rock, he can revisit a case with a fresh perspective. Board Member & Officer, South Metro Denver Chamber of Commerce.